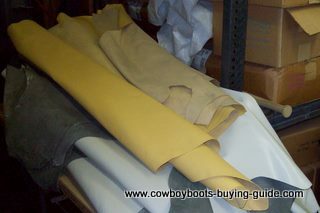 Custom Made Cowboy Boots Do you know where to get your custom made cowboy boot? you will find how to get yours made. Custom Made Cowboy Boots…..you will find where to get have them reliably made. El Paso, Texas – the Western Shoe Wear Capital of the World - is where some of the top Master Makers are located. You’ll get a guide to what to do to get your handmade boots here. You will have access to the best western shoe wear makers in the city. We will give you the pertinent information regarding costs, styling and approximate time to fill your order. For your convenience, you can send us your wishes and price requirements for your special pair and we will put you in touch with two to three Master Makers from El Paso that will, in turn, they will contact you to complete the measurements and any other details to create your Unique and Dream pair. Briefly Describe the Boots you want including price range and special requests. Have a great time designing your own unique and special western shoe wear. Come up with your own one of a kind ideas and work with our recommended makers to produce your distinctive and exclusive boots. 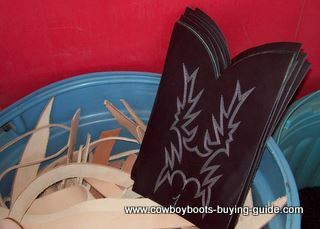 Getting your custom made cowboy boot is not really that complicated; especially with experienced boot makers.